I would love to see a contour / offset option. 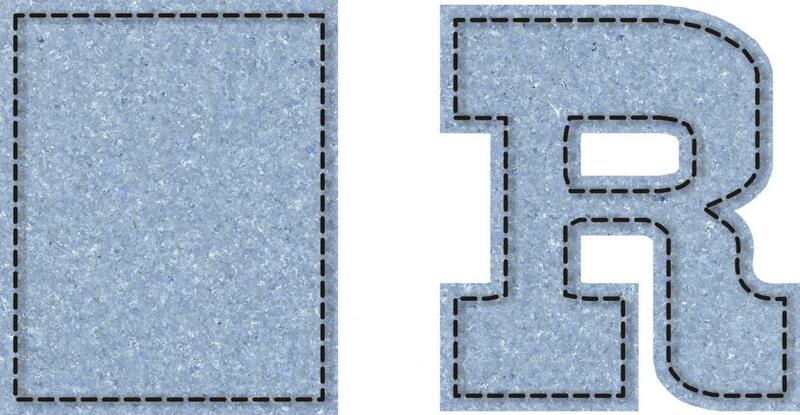 On some shapes you can make a smaller version of the same (see rectangle) for an offset outline, but for the letter R, and other shapes, making a scaled down version would not work. As far as i know there's no contour or offset tool in Affinity Designer yet, and i agree it's useful for a lot of situations. The only thing that comes close in Affinity is if you apply a stroke filter to the shape. Make sure you have alignment set to inside. This however is an effect applied to the object and cannot be converted to curves, so if you need to edit or change it in any way you're stuck. That's why an offset tool would be a good addition. Drawplus, Coreldraw and Xara (all versions) on PC offer this feature. On the Mac, besides Illustrator, i don't know one that can do it too. Which is surprising since it's a rather simple feature. Yes, there are options for Windows programs, I'm moving from CD/win7 to iMac. Just adding a +1 for the contour tool. We are finishing/preparing to submit the next Affinity Designer MAS update. Just adding my +1 as well for the offset tool. Any updates on when this might be added? This feature is not on the Roadmap. Earlier, I was thinking it had been stated that it would be easy to implement. Is it still on the list? Yes, although this is not on the roadmap it's something we plan to add later. My first project ever in affinity designer and I needed the blooming contour, couldn't find it anywhere, only to come here and see it appears it is not available. Had to switch back to windows / Drawplus 8x to get the job done. It was a vinyl cutting job of a medallion type logo, so I needed a larger perimeter black border around the entire logo. While I certainly am excited about the prospects of Affinity Designer, that was certainly disappointing. +1 for offset as well. It's something available on the basic craft design programs I used before upgrading to Affinity (Cricut and Silhouette), thinking I'd have more options here. Thanks! It was the first thing i tried to do on AD as I frequently use it in illustrator (offset path) as it's great for borders and icons in my UI artist job. I agree adding and outline and expanding it is a pain, especially on complex objects having to delete the inner most nodes to make it solid. This is an absolute must for my workflow. I've been creating them in CorelDraw and importing the vector into Designer to add the excellent f\x features. DrawPlus had a super cool Filter Effects dialog similar to the one in Photoshop. Since it remained a vector, I considered it better than Photoshop's. DrawPlus had a super cool Filter Effects dialog similar to the one in Photoshop. Since it remained a vector, I considered it better than Photoshop's. That's interesting, Frank! I was under the impression that all DrawPlus filter effects were rendered as bitmap.